Location: Funk Zone, Santa Barbara Ca. Description: This is a 2,500 s.f. 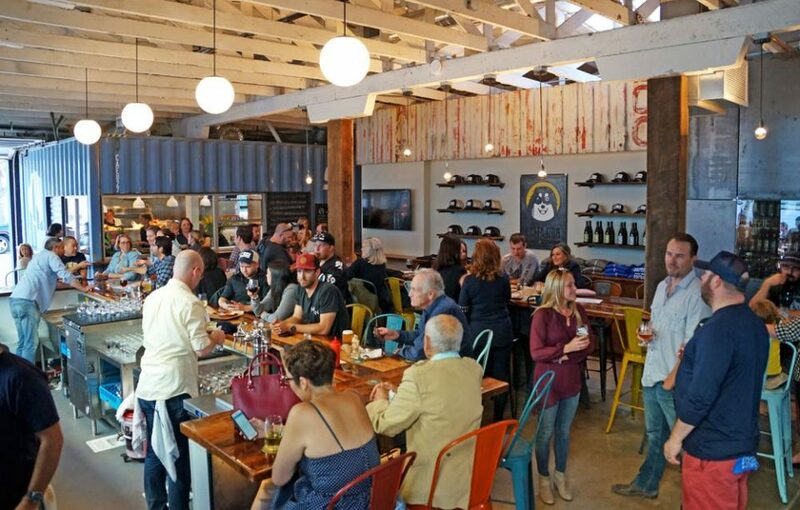 remodel for a new restaurant with beer and wine tasting in an existing building located in Santa Barbara’s Funk Zone, just around the corner from our Funk Zone Lofts project and next door to The Nook. As a part of The Waterline redevelopment we are transforming the interior of this old warehouse style building into a unique location to enjoy incredible food from a local legendary master chef. The bar and bottle sales will be run by another local, a wine maker who’s passion has grown to include craft beer. Customers will be able to enjoy beer and wine from the bar and look thru a variety of hand picked bottles to take home. The owner will stock the shelves and walk-in refrigerator with craft beer and wine that will change seasonally. This is a unique restaurant concept for Santa Barbara which fits the Funk Zone so well. We are taking advantage of the authentic construction of the building and adding texture and color that will enhance the feeling. Glass walls will provide glimpses of the other tenant spaces and will create an expansive feel. We are also creating an indoor/outdoor bar and dining area to take advantage of the intimate outdoor space and the nearly perfect year round Santa Barbara weather. 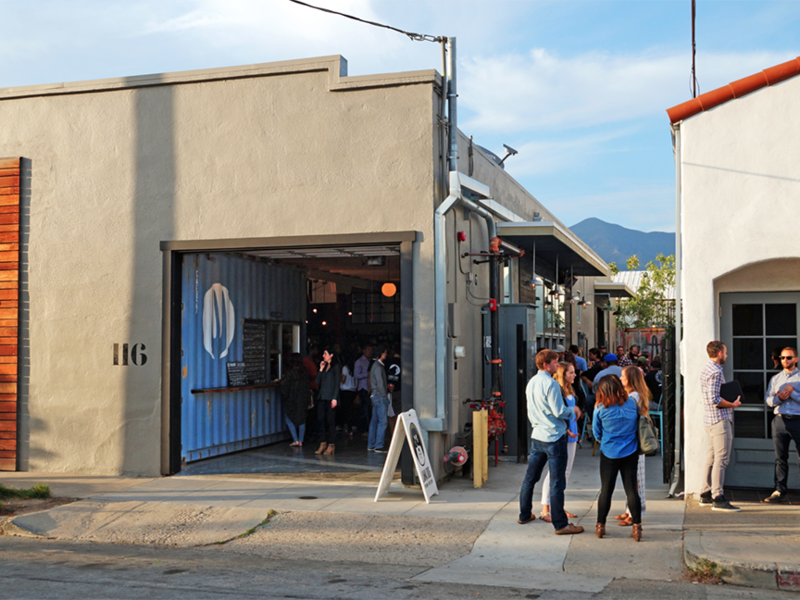 The remainder of the building houses Topa Topa Brewers tasting bar and Fox Wine Co tasting room.